Saint Patrick Roman Catholic Church | Disposal of Blessed Palms, Etc. Catholic Church’s Disposal of Blessed Palms And Other Items. Because the Palms have been blessed by a priest and therefore are holy objects, the palm branches used for Catholic Church services, especially those used on Palm Sunday, should not be disposed of in the regular fashion. Once an object is blessed, it is considered to be in the service of God and should be treated with respect. Therefore, it is considered sacrilegious to throw a holy item in the garbage, where it might end up in a sewer or a landfill. 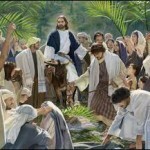 Palm branches are most often used during the holiday of Palm Sunday, which is celebrated by both Protestants and Catholics alike. This day celebrates the arrival of Jesus Christ in Jerusalem. Matthew 21: 8-9 states: “And a very great multitude spread their garments in the way; others cut down branches from the trees, and strawed them in the way. And the multitudes that went before, and that followed, cried, saying, Hosanna to the son of David: Blessed is he that cometh in the name of the Lord; Hosanna in the highest.” During the service, worshipers are given one palm branch to hold during the songs and readings of the Gospel. Holy palms should be returned to nature. 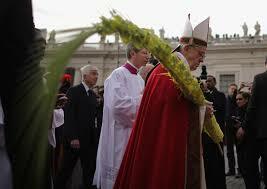 After the Palm Sunday service, the priest or an assistant may collect palms for disposal from the worshipers. If you would prefer to take your palm home, it may be kept as a holy item. Should you wish to dispose of it, you may bury it or burn it and spread the ashes outside. 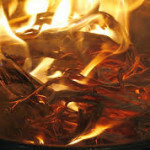 The Catholic priests take all of the collected palms and burn them. 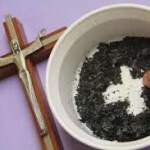 They save the ashes to use for the Ash Wednesday service of the following year. Palms are not the only objects routinely blessed by the Catholic Church. 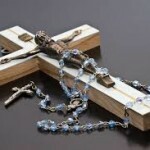 Holy water, oils, rosaries and relics also have a special religious significance. Churches typically have a special sink that runs straight into the ground where holy water, oils and blessed wine is discarded. Combustible items may be burned, everything else should be buried in an area where people are not likely to walk, such as under a tree. Information obtained from the Catholic Online Website.